Typically, March is a month of furious competitive hockey as almost every team in the league thinks it still has a chance to make the post season. This season…not so much. In the Western Conference, 3 teams, Nashville, Minnesota and Colorado, are duking it out for the final 2 wildcard spots while in the Eastern Conference, it would appear only Philadelphia has a decent chance of cracking the top 8. That essentially leaves 12 teams as “Dead Men Skating” which pretty much overturns the parity notion that Gary Bettman has been pushing, at least for this season. Now that Anaheim has returned from the dead and is streaking (9-0-1) toward a WC championship, there really are no surprise cinderella winners or losers this season, unless, of course, you ignored by exhortations at the beginning of the season and din’t keep a close eye on the Florida Panthers. As a long time follower and admirer of Dale Tallon and his work in Chicago and now Florida, I’m not the least bit surprised at his teams’ success. He built the team the right way from the goalie out when he acquired Roberto Luongo and has hewed to the mantra that a stout defense anchored by veteran Bryan Campbell, young phenoms Aaron Ekblad, Dimitri Kulikov, Erik Gudbranson and Alex Petrovic is a key to success. He also followed the blueprint of depth down the middle when he drafted Alex Barkov, Nick Bjugstad, Quinton Howden and the rapidly blooming Vincent Trocek as well as 0more pedestrian players like Derek McKenzie and Dave Bolland who is perhaps one glaring mistake in the Tallon era in Florida. I recall a rather chippy encounter with the folks over at Lowetide’s blog when I happened to point out how astute Tallon was in stocking his C depth and was met with howls of derision from the Lowetidian acolytes. Last laughs and all that….. The Panthers remain in 1st place in the Atlantic division and despite having only a slim lead are a shoe in for the playoffs. I doubt they can get past the dominant Capitals to a berth in the Stanley Cup finals but, man, Tallon acquiring Jiri Hudler and Teddy Purcell at the deadline only adds to the Panthers forward depth and, as we know, almost anything can happen in the playoffs. If you’re a Canadian hockey fan and relish pulling for a team in the playoffs, the Panthers might be a good bet. And, one final thought, the “Blackhawks South” that Tallon is building in South Florida has almost $30 million in free cap space in the offseason and a loaded prospect pool. Tallon will be able to feast on cap strapped teams dumping good players like no other GM in the league and I would imagine he will complete the job of building a powerhouse before the snow flies. Timing and smarts are everything. I’ve long been a fan of Florida GM Dale Tallon. Tallon built the foundation of the Chicago Blackhawks team that has won 3 Stanley Cups in the 5 seasons. Tallon’s first season as the Blackhawks general manager was a busy one. The 2004–05 NHL season was lost to a labor dispute, and the new collective bargaining agreement between the owners and players was signed in July 2005. Between the new financial structure and many rules changes intended to produce a higher scoring game, Tallon was challenged to build a new team. Tallon signed many free agents, including goaltender Nikolai Khabibulin, defenceman Adrian Aucoin, and forward Martin Lapointe, which led to raised expectations. The Blackhawks finished Tallon’s first season with 26 wins, 43 losses and 13 overtime losses for 65 points, ranking the Blackhawks 14th in the 15-team Western Conference, and with the third-least points in the NHL. Tallon further bolstered his team in the off-season by signing star winger Marián Hossa and Selke Trophy-winning John Madden. That same off-season, however, Tallon and the Blackhawks management came under fire in early July 2009, when the National Hockey League Players’ Association (NHLPA) claimed the team did not submit qualifying offers to their restricted free agents before the deadline. In the worst-case scenario, the team’s unsigned restricted free agents at the time, including Kris Versteeg, would have become unrestricted, earning them additional salary and negotiating rights. Tallon was able to sign all his restricted free agents, although at a cost of millions more than he would have to had he qualified them in time. Tallon remained in limbo until May 17th 2010 when he was hired by the Florida Panthers as GM and immediately setting about rebuilding his new team. In his first season as general manager, the Panthers finished last in their division for the second straight year, prompting Tallon to fire Head Coach Peter DeBoer (later replacing him with former NHL player Kevin Dineen) and to continue trading for younger players and draft picks. At the NHL trade deadline, he dealt away captain Bryan McCabe, as well as veterans Cory Stillman, Radek Dvořák and Christopher Higgins. In the off-season, he acquired three former Chicago players — Brian Campbell, Tomáš Kopecký and Kris Versteeg— while also signing Tomáš Fleischmann and former Panthers fan favourite Ed Jovanovski. Tallon’s personnel changes helped lead the Panthers to their first Southeast Division title in franchise history, improving by 22 points in the 2011–12 season. Qualifying for the 2012 playoffs as the third seed, they were eliminated in the first round by the eventual finalistsNew Jersey Devils, ironically led by former Panthers head coach, Peter DeBoer. As a result of his leading the team to their first playoff appearance in twelve years, Tallon was nominated for the 2012 NHL General Manager of the Year Award. After 3 year’s of lacking the resources to build a winner, that all changed in 2013 when Vincent Viola bought out a rag tag group of minority owners and committed to providing the dollars and stability the team needs to move forward. Viola said Friday that he was committed to giving the Panthers “the resources needed to win the Stanley Cup,” which brought a smile to Tallon’s face. “I believe in what he believes in,” said Tallon, the architect of Chicago’s 2010 championship team. So, if we consider the Panthers rebuild got a reboot in 2013, we’re now only a couple of years into the process. In the past two years, Tallon has been very busy remaking his team while allowing his exceptional draft record to provide his team with young elite players. After acquiring Roberto Luongo in trade, the Panthers are set in goal. The D, anchored by possession monster Bryan Campbell propelled the Cats to a middling 2.60 GA/GP last season but Campbell is on the last year of his contract and it’s expected Calder Trophy winner Aaron Ekblad will assume the role of #1 stud defenseman as early as this season. With Dimitri Kulkov, Erik Gudbranson, Alex Petrovic, Dylan Olsen and Michael Matheson in the under 25 group, the Panthers are loaded with high end D prospects once Campbell, and Willie Mitchell are done. Likewise, their prospect centre depth, due to astute drafting, is among the best in the league with Alexander Barkov, Nick Bjugstad, Vincent Trochek, Rocco Grimaldi and 2014 draft Jayce Hawryluk all surging. The Panthers weakness is, and has been, scoring wingers and they will need Jonathan Huberdeau, Brandon Pirri and newly acquired Reilly Smith to step up. The addition of the ageless wonder Jaromir Jagr gave the Panthers and immediate boost last season but the teams rebuild, while solid in goal, at D and at centre is remarkable, they need more scoring from the wings to make things hum. Since wingers are the easiest players to acquire in trade or free agent signings, I expect Tallon will solve the issue sooner than later considering he is sitting with almost $12 million in free cap space. With the trade deadline less than 48 hours away, it’s always fun to speculate who is going where and what the return might be. Of course, none of us has the inside poop on what General Mangers are actually thinking but we can make some guesses on what we think teams need and which ones are likely to be buyers. One team that has been flying quietly under the radar is the Calgary Flames. The reality is that the Calgary Flames are playing with house money being in playoff contention this late in the season, and even if their passionate fans might have forgotten their pedestrian preseason expectations, team management hasn’t. Which is why GM Brad Treveling isn’t about to trade a first-round pick in exchange for rental help. Heck, he’s going to guard his second-round pick pretty closely too, unless it’s a trade that really, really makes sense. And he will protect his Grade A prospects, too. But he does want to make a deal before Monday’s deadline that’s reasonable for now and beyond because he wants to reward the NHL’s hardest-working, blue-collar outfit for their surprising season. Lebrun also identifies Calgary as being in the market for a defenseman in the wake of the injury to Mark Giordano and with his team currently 1 point out of a playoff sport, I think he’ll pull the trigger and may have the Oilers’ Jeff Petry in his sights. The question then becomes what might the Flames dangle to get themselves another defenseman. Well, they are absolutely loaded at centre with Sean Monahan, Matt Stajan, Micahel Backlund, Joe Colbourne, Lance Bouma, Josh Jooris, Markus Granlund, Max Reinhart and Sam Bennett on the way next season. Not only might one or more of those players prove to be attractive to a team wanting to move a defenseman but I would imagine the Arizona Coyotes could make an offer that would send Antoine Vermette to the Flames for a potential playoff run. Brian Burke teams have a history of swinging big trades so don’t be surprised if the Flames pull off a blockbuster in the next few hours. 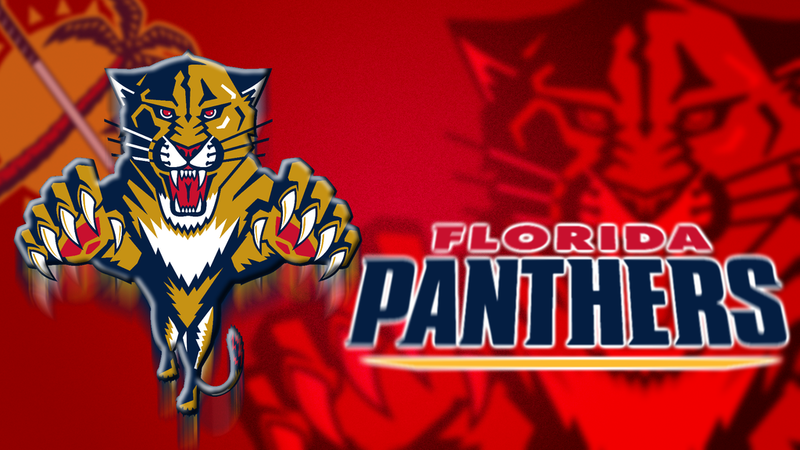 Another team to keep an eye on is the Florida Panthers. Dale Tallon has already acquired Jaromir Jagr and has just moved out Tomas Fleischmann’s $4.5M cap hit to the Ducks for Dany Heatley (buried in the minors) and a 3rd round pick. I expect another galosh to drop in south Florida very soon as the Panthers try to overtake the Bruins for the final wild card spot in the EC. Patrick Sharp? Apparently the Toronto Maple Leafs are shopping centre Tyler Bozak very hard but there’s likely a limited market for what is essentially a 2nd line centre with a cap hit of $4.2M for another 3 seasons. It’s very difficult to predict which, if any teams might be interested in Bozak at that price point but some GM might step on his dink in order to get his team in the playoffs. Noises getting louder over Blackhawks discussing calls for Sharp, who has limited NMC. Told WAS, MTL, DET have serious interest. I expect the Arizona Coyotes may be the most active team in the next few hours. Along with aforementioned Vermette, the Coyotes may also deal Keith Yandle, Sam Gagner, Martin Erat, and Zbynek Michalek. Don Maloney could be holding a raft of draft picks if most or all of those players are moved. I’ll update this post later in the afternoon as the dominoes begin to fall. Sunrise was actually going to be named Sunset Village but the retirees who lived in the area apparently thought that name a bit too “final” and Sunrise it was. What prompted this post was that I watched the FLORIDA (see, just like the ARIZONA Coyotes) entertain the Montreal Canadiens last night. It was the first sellout of the season for a team that normally draws less than 10 thousand but the stands were filled with Habs fans vacationing in Florida so it was, in effect, an away game for the Panthers. Tuesday was one heck of a night for Nick Bjugstad. Not long after scoring the game-tying goal in an eventual 2-1 shootout loss to Montreal, the Panthers’ center was signing a six-year deal with the team sources told The Miami Herald. Bjugstad, a restricted free agent following this season, will get $4.1 million annually. “He’s a cornerstone piece to the franchise,” the source said. Now, anyone who has been following closely will know that I am a big fan of Dale Tallon who built the Chicago Blackhawks into a cup winner (and they gave him a ring for his efforts even through he was ousted in the Bowman coup). Despite changing owners several times, operating on a severely restricted budget and being forced to spend just to reach the salary cap floor, Tallon has been building a young, big talented team from the backend out and it’s starting to pay dividends with the Panthers challenging for a playoff spot despite being one of the youngest teams in the league. The laundry list of young talent keying this run is something to behold: Aleksander Barkov, Nick Bjugstad, Jonathan Huberdeau, Vincent Trocheck, and Aaron Ekblad are something of a ‘big five’, all at or under the age of 22. The amazing thing? Every one of these players is in the black as it pertains to Corsi%. In a league where being successful at an extremely young age is quite difficult, the Panthers are making it look relatively easy. None of this comes as a surprise to me since I’ve been touting the rise of the Panthers for several years. The Panthers solidified their goaltending when they picked up Roberto Luongo in the offseason. All he has done is sport a .923 save percentage and his backup, Al Montoya is cruising along at .915 which I believe is the floor for a good to great goaltender. Tallon has a couple of seasoned vets to mentor his young D, Brian Campbell and Willie Mitchell, but I want to highlight the young D he has drafted and acquired. I’m going to include their vital statistics here because it’s important to note that Tallon has been going after skill AND size. Aaron Ekblad – 6’4″ 220 18 years old! As you can see, this young D, led by phenom Ekblad, hasn’t even entered the prime years for defensemen but is far and away the best young D core in the league and will be dominant for a decade. 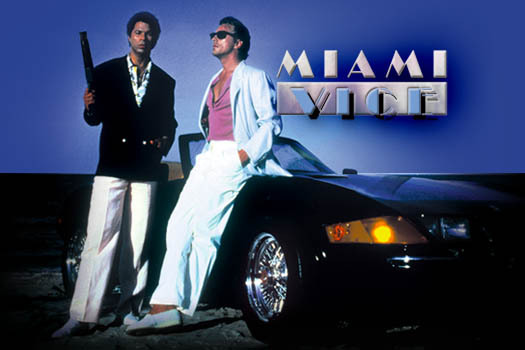 Any Oiler fan getting his or her knickers in a twist over Nurse, Marincin and Klefbom need to take gander at “Miami Vice”. But, Tallon didn’t stop there. He has loaded up his team with big, talented centres too….although his stunning C depth has a few little guys too. The Panthers also have two blue chip centre prospects, Drew Shore and Rocco Grimaldi, toiling in the minors but it wouldn’t be surprising if Tallon used some of his depth at the position to go after some scoring wingers. Speaking of wingers….the Panthers have a surplus of older veterans in those roles…Boyes, Bergenheim, Upshall, Fleischmann, Kopecky but they also have another young monster, Jimmy Hayes (6’6″ 225) scoring at a 25 goal pace and Jonathan Huberdeau still developing but Tallon now has the assets and cap space to turn some of those vets into young scoring wingers. I expect the Panthers are a couple of years away from being true contenders but they are built the right way with strong fundamentals in goal, on D and at centre. They are big enough and skilled enough to compete with best in the east AND take on the big boys in the west. So I thought I would step back in with some observations on the corner Craig McTavish has painted himself into. Anyone with a clue knew MacT couldn’t go into an NHL season with only 2 NHL centres, no top pairing D and 2 unproven goaltenders…except MacT himself and his fanboys. 1/4 of the way into the season the MacT Oilers (and, yes, he built this roster) are battling the Buffalo Sabres for the Miss Congeniality Award. I’ve always thought MacTavish loves himself some MacTavish (way beyond the evidence) and is now reaping what he has sown. There are some outlandish trade proposals out there….the venerable, though somewhat addled, Lowetide is suggesting the Oilers reset their roster in a trade that involves Tyler Seguin. No. I’m talking about a massive deal, where Edmonton and Dallas get together and Edmonton walks away with Tyler Seguin and another significant asset. A massive, game changing deal that alters Edmonton’s strength up the middle. Or Colorado, maybe they have the assets. I’m not saying he has to make that big of a deal, but open up the possibilities. Make this trade the massive roster correction required. A team like Dallas, or Colorado for that matter, has no incentive to help the Oilers recover from the mistakes they’ve made in drafting and development over the past 8 seasons. Tyler Seguin may be the second best C in the league and Colorado’s MacKinnon, Duchene and O’Reilly aren’t all that far behind. So what would it take for either team to part with one of them? Both the Stars and Avalanche could use a legit #1D….guess what…the Oilers don’t have one…never mind one that they can spare. Both teams could use a solid backup goaltender…guess what…the Oilers don’t have one. The Oilers best trading chips at this point are likely Eberle (14 PTS) and Perron (10 PTS) and neither one of those two will get you a centre of note so I’m thinking they need to target a team with unusual needs. The Arizona Coyotes desperately need a player that they can market and that player could be Connor McDavid or Jack Eichel. Perhaps the Oilers could trade their 2015 1st round pick and David Perron for Vermette (UFA at the end of the season) and Keith Yandle. That trade works for both teams. The other target I would look at is the Florida Panthers who are awash in young centres. Tallon might consider Perron or Eberle for Brandon Pirri. If you can’t pull off one of those trades I have to think Taylor Hall will have to hit the market which IMO is not the worst idea in the world but more about that next time.